Wayfair (NYSE:W ) stock continues to achieve record highs. Wayfair stock price has rallied after the company reported higher-than-expected fourth-quarter revenues and lower-than-expected losses. Many analysts, including those who are bullish on Wayfair stock, think the equity could temporarily drop. Still, these optimists believe the company is following the path set by Amazon (NASDAQ:AMZN) years ago. However, given today’s market conditions, investors should question that theory. Wayfair stock is riding high after the company’s Q4 results beat analysts’ consensus expectations. In Q4, the company’s revenue rose by 39.6% versus the same period a year earlier to $2.01 billion. The company’s loss of $1.12 per share represented a decline from the 58 cent per share loss in Q4 of 2017. However, since Wall Street had expected a Q4 loss per share of $1.28, Wayfair stock rose almost 28%. W stock has continued to rally ever since, and now the W stock price stands at about $166 per share. At these levels, even those who have long been bullish on Wayfair stock are admitting that W stock could decline for a short time. However, I think any serious decline will be more than short-term in nature. That’s because the only positive aspect of its financial statements are the impressive levels of its revenue growth. And when one looks deeper, even the revenue increases appear less impressive than they do on the surface. Between 2014 and 2018, Wayfair’s revenues jumped 414%. However, it spent heavily to obtain that increase. Its cost of revenue surged 415%, while its sales, general, and administrative expenses grew by 350%. These increases caused its net losses to rise by 236%. The company’s spending hikes have also begun to weigh on its balance sheet, as its debts have risen and its shareholders’ equity has moved further into the red. Wayfair stock bulls explain away the company’s troubles by stating that Amazon once followed a similar path. This ignores the fact that Amazon derives most of its profit from Amazon Web Services (AWS), its cloud unit. More importantly, it overlooks a much more significant issue: Wayfair is too late to the party. Jeff Bezos founded Amazon in 1994, before the internet boom and before e-commerce took off. By the time Niraj Shah and Steve Conine founded Wayfair in 2002, the dot-com boom and bust had already occurred. Furthermore, Amazon had ventured beyond books and had founded AWS by 2002. Moreover, Walmart (NYSE:WMT) and Target (NYSE:TGT) sold few products online. Also, Sears (OTCMKTS:SHLDQ), which then ran a catalog business, showed no inclination to take that enterprise online. With older retailers asleep at the switch, Amazon had an opening. That opening does not exist today. Further, home décor is a weak-moat business. The small moat it does have consists of an intuitive understanding of trends and interior design. Judging by Wayfair’s sales increases, perhaps it does have an innate talent for staying on top of trends. However, such fads can change at any time, and often for reasons that aren’t obvious. Finally, in this sector, disruptors can also come from anywhere. In the Dallas area, where I live, Warren Buffett’s Berkshire Hathaway (NYSE:BRK.A, NYSE:BRK.B) opened a Nebraska Furniture Mart store with a 560,000-square-foot showroom. Soon after, a local chain of furniture stores which had existed for about 80 years shut its doors. I could see something like this happening in the online space as well. I do not recommend holding onto Wayfair stock if and when that happens. Although Wayfair has shown impressive revenue growth, it’s too late to the game to become the Amazon of home décor. Wayfair stock trades at record highs as its revenues continue to spike higher and its losses have come in below expectations. However, a closer look at the company’s financial statements reveals that its revenue increases have come at a high cost. Now, the stability of its balance sheet is continuing to deteriorate, as analysts see no end in sight to the company’s losses. The company’s competitive situation looks even worse. At some point, this overvalued online business will likely face more intense competition. It could come from the likes of Target, Walmart, Amazon, and/or Berkshire Hathaway. All of those companies have much larger market caps than Wayfair stock and earn profits. 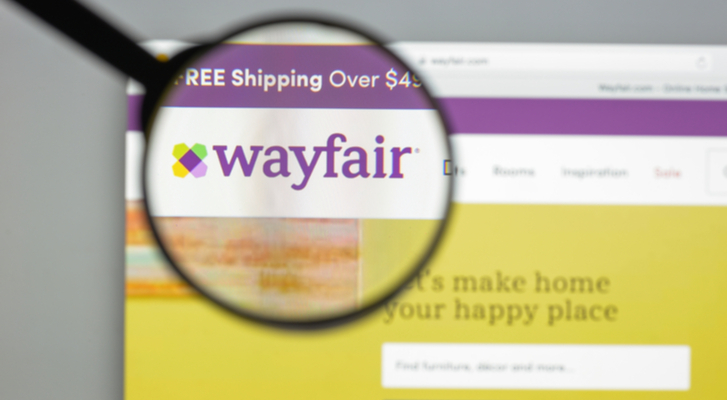 More importantly, they will probably not ignore an online competitor like Wayfair. The owners of Wayfair stock should keep that in mind. As of this writing, Will Healy is long BRK.B stock. You can follow Will on Twitter at @HealyWriting. 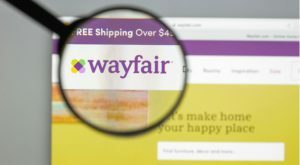 Article printed from InvestorPlace Media, https://investorplace.com/2019/03/assume-wayfair-stock-amazon-decor/.